Robert Franklin is a staff photographer at the Indiana South Bend Tribune, a job that takes him all over the country, covering Notre Dame football and basketball events. 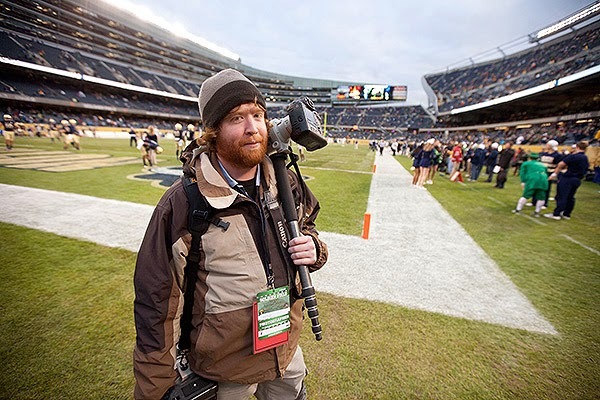 He names photographing the 2013 BCS National Championship and three NCAA Women’s Final Four tournaments as career highlights in the three years he has worked for the Tribune. 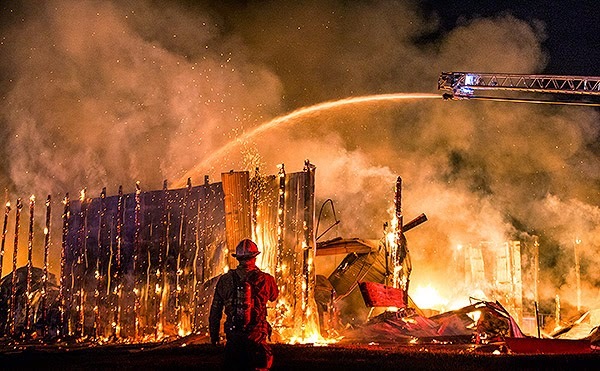 Robert has been the recipient of numerous awards for his work including being named the 2013 Sports Photographer of the year by the Indiana News Photographer’s Association and receiving an Associated Press Media Editors’ Bushemi Sweepstakes Award. When asked about his experiences at Randolph Community College Robert says, “I still have flashbacks of Chuck Egerton’s classes, basically everything I do in my job today is something I learned during my time at RCC.” He went on to state, “the structure of the program, combined with great instructors, set me on a path where I could succeed in this very competitive business.” As far as advice to current students he says to use and learn about all the equipment at the school and make sure to work on plenty of video skills. Franklin shoots video on a daily basis and insists that being able to produce clean, slick multimedia will be one of the most important skills that Photojournalism grads will require to secure a job in their field. As part of the Fall Journalism class, the Photojournalism students interviewed and wrote a short profile story on a Randolph Community College Photography Program graduate. We will feature a new profile each month over the next year.